There’s no denying that health care fraud accounts for a large percentage of the claims that qualify under the Federal False Claims Act (FCA). According to the Justice Department, of the more than $3.7 billion in settlements and judgments recovered in fiscal year 2017, $2.4 billion of them involved the health care industry. Claims involving the health care industry include claims involving providers, goods, and services. Monies recovered in FCA lawsuits help restore assets in important federally funded programs like Medicare, Medicaid, and TRICARE. Voluntary reporting of suspected fraudulent activities and federal violations is encouraged through means like self-disclosure, compliance guidance, and corporate integrity agreements. 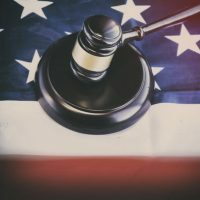 Whistleblowers play an important role in qui tam lawsuits as the government might not even become aware of many of these cases without the help of individuals who are brave enough to come forward. If you work for a medical provider or vendor in the healthcare field where you suspect there are Federal False Claims Act violations taking place, it’s imperative you speak with a skilled qui tam litigation attorney to ensure all your potential rights as a whistleblower are protected. If you’re aware of government fraud taking place, you need to contact a qualified lawyer to discuss whether your case is viable. The attorneys at McCabe Rabin, P.A. are very experienced with federal whistleblower cases and can guide you through the entire process, while helping ensure your rights are protected. Contact our office today to schedule a confidential consultation.